Irene Kepl wurde 1982 in Linz geboren und schloss M.A. Violine bei Prof. Arkadi Winokurov und Jazz bei Andreas Schreiber an der A.B. Privatuniversität Linz mit Auszeichnung ab. Sie ist als freischaffende Violinistin und Komponistin aktiv und lebt in Wien. Kompositionsaufträge von Wiener Festwochen und ORF Musikprotokoll, Preise und Stipendien wie die Einladung zu music OMI/NY und Theodor Körner sowie G.Mahler Kompositionspreise, CD Veröffentlichungen und Kollaborationen mit MusikerInnen wie Joëlle Leàndre, Tristan Honsinger, Petr Vrba, Maja Osojnik, Mats Gustafsson, Susanna Gartmayer, Joe McPhee, George Cremaschi, Carl Ludwig Hübsch, Moe Staiano uvm. Sie war als Violinistin zu Gast bei Klangspuren Schwaz, unlimited" Wels und Brucknerhaus Linz, Jazzfest Wien sowie international beim Java Jazz Festival/IDN, Offene Ohren München/D, Festival Lent Maribor/SI, Musikfestival Ostrava/CZ, 12 points festival/SE, NOW now Festival and SoundOut/AUS,Vortex Jazzclub London/GB. Vor allem im Bereich zeitgenössischer und improvisierter Musik und Jazz tätig erhielt sie z.B. Engagements am Landestheater Linz, Aufträge für Filmmusik, Tanz und Klanginstallationen. Sie ist Gründerin der monatlichen Konzertreihe OÖ Musik im Raum. 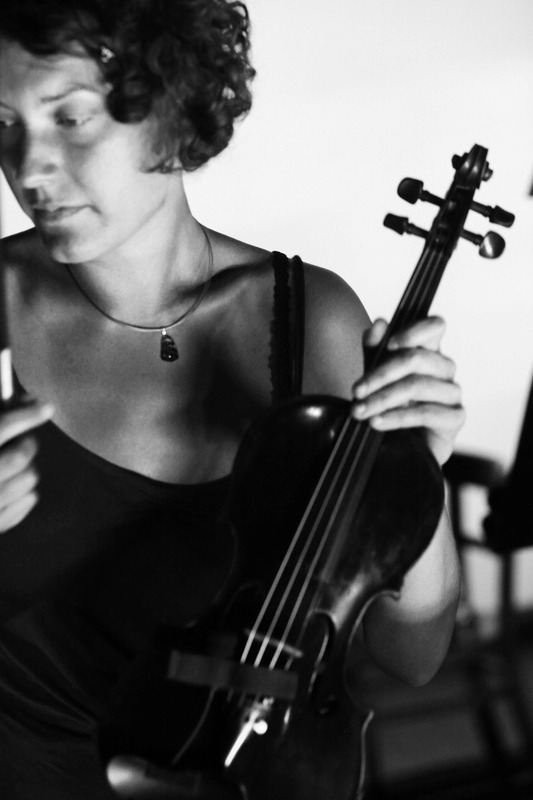 Violinist and composer Irene Kepl studied classical violin and jazz in Linz/AT and she now lives in Vienna. Her work focuses primarily on contemporary classical music, free improvisation and composition but also includes Jazz and groove based music. Further work includes commissions for theater, film and sound installations. CD releases include original compositions by her and free improvised contemporary music, for example with the Duo Irene Kepl - Violin & Mark Holub - Drums/SLAM records UK, Trio resonators/Another Timbre UK (with George Cremaschi and Petr Vrba) and as a Soloist at “SololoS”/FOU records FR, and caused high international recognition. The Debut Album of her string quartet Violet Spin, skating the boundaries between Jazz, Groove, Song Form, Contemporary Music and Noise, will be released on 26th of March 2018 with UNIT records/CH, further releases include more contemporary music by her with the Ensemble Verso, released at zeromoon records/USA, and another Solo-Release at SoundOut/AU. She´s a member of many more projects like Trio FAQs (with Dirk Marwedel and Uwe Oberg), U & I (with Dancer Ursina Tossi/D), NYX (with Carl Ludwig Hübsch) and KLM (with Joe McPhee and Paul Lovens). Irene Kepl has performed at many prestigous venues and festivals including: Klangspuren Schwaz, Festival Unlimited, Jazzfest Vienna, Vienna Festwochen & Wien Modern, Moers Festival/D, 12 points Festival/SE, DMG/NYC & Sonic Circuits/USA, Java Jazz Festival/IO ect. Her music has been broadcast on various radio stations, in Austria and abroad, she has received the fellowship „music OMI“ New York, the Gustav Mahler Composition Prize and the Theodor Körner Prize for composition. Commissioned compositions were premiered at concert halls and festivals such as Brucknerfest Linz, ORF Musikprotokoll and Vienna Festwochen. Irene Kepl has worked with Joëlle Leàndre, Paul Lovens, Joe McPhee, Matilda Rolfsson, Nina de Heney, Mats Gustavsson amongst others.